A bar in Moscow's Hotel "Intourist". 1974. 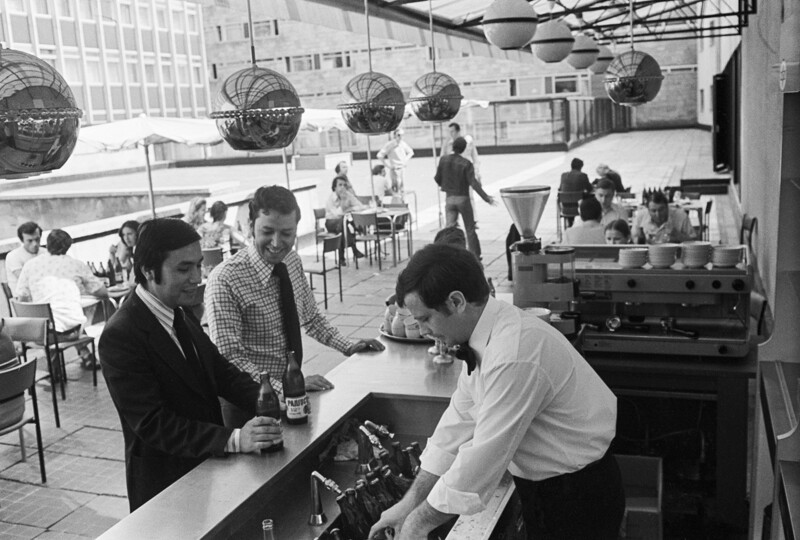 Did Soviet barmen work for the KGB? Read on to find out the answers to all those burning questions about boozing over the Iron Curtain. 1. The first bars in the USSR appeared after the 6th World Festival of Youth and Students in 1957 hosted by Moscow. 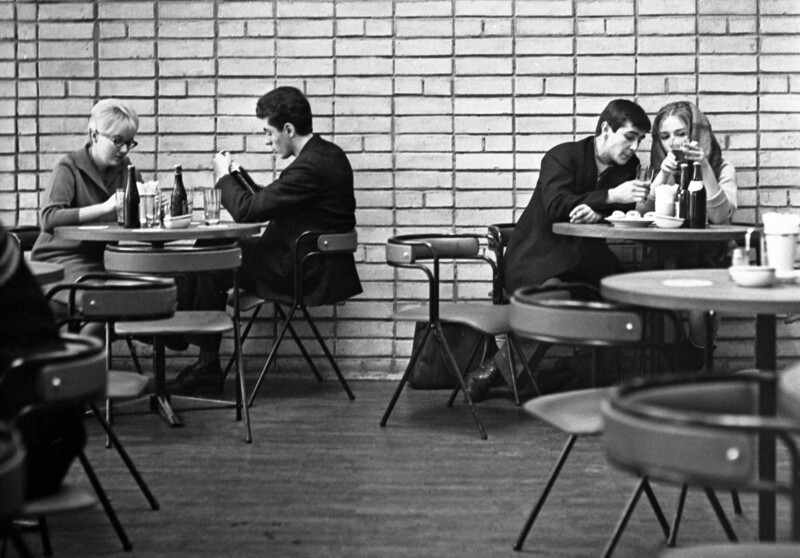 Guests were not impressed by Soviet cafes so state leaders implemented reforms to change the situation, at least for sightseers. So-called foreign exchange bars were opened in selected hotels for those who visited the Soviet Union from capitalist countries. Many passenger steamships with foreigners onboard also had their own bars. A beer pub in Moscow. 2. Establishing bars was a good step not only for improving the image of the country but also for topping up the state budget. Foreigners spent a lot of dosh in these watering holes, in contrast to Russians who weren’t allowed into these bars at all. 3. 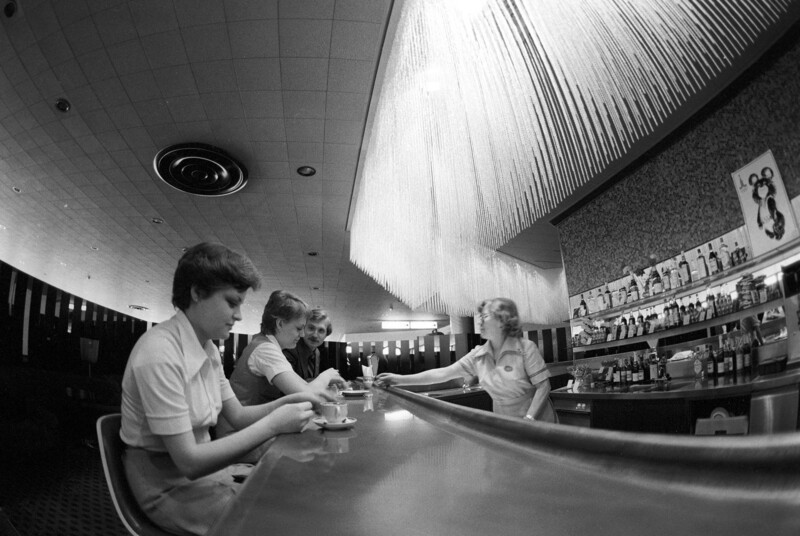 The main problem with organizing a Western-style bar was the lack of furniture and equipment. In St. Petersburg’s Evropa Hotel they even used a sideboard made of an oak-tree which belonged to Nicholas II. Bottles were put in its upper part and the lower part became a fancy bar counter. Visitors always commented on how sturdy it was. Krysha, the most exotic of the four restaurants in Grand Hotel Europe on the very top of the hotel. The waiters are dressed in the clothes of Peter I's epoch. 4. There weren’t any official written guidelines for barmen in Russian, so they either had to read foreign magazines and journals or order books from abroad. The first instruction for Soviet barmen didn’t appear until 1978 and contained more than 7,000 drink recipes. 5. 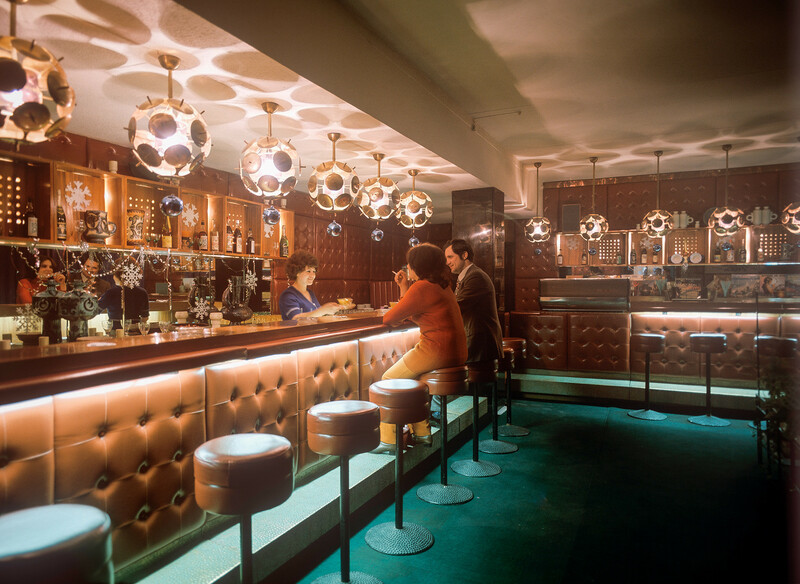 For the ordinary Soviet man, the word “bar” meant all the vices of the capitalist world. So most barmen avoided talking about their job to escape conflict. Only their dearest and nearest knew about their occupation. Evening in Yakor (Ancor) bar. 6. All barmen were called “bufetchik” (“tapsters”) in the USSR. In 1967 one of the most notable figures in Russia’s drink industry - Alexander Kudryavtsev - wrote a letter to the government asking the country to officially recognize the profession of barman in the Soviet Union. Surprisingly, the powers that be granted his wish. 7. 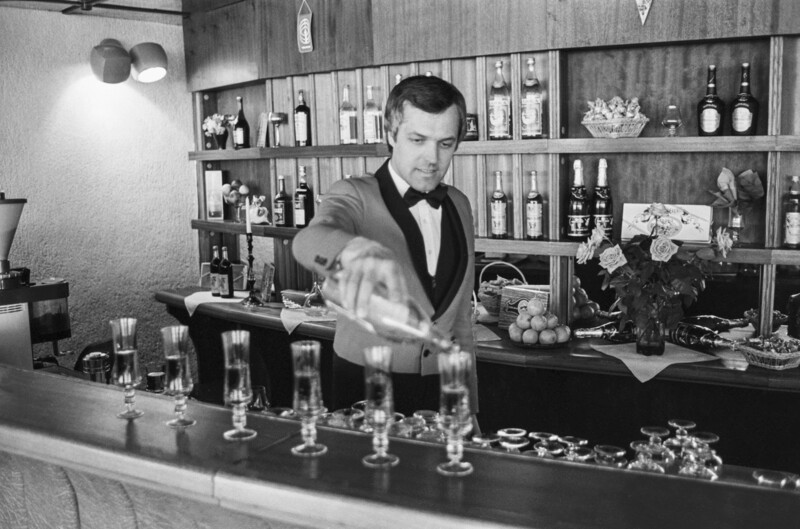 In 1982 Yury Shadzilovsky became the first Soviet barman to take part in the World Barman Championship in Prague. He participated in all events and had to make a long drink, a short drink, a hot drink, a non-alcoholic drink, and an author’s cocktail in three portions - all in 15 mins. Yury scooped gold for the short drink and silver for the others. Foreign guests are having a drink in a bar at the Intourist Hotel. 8. Bars were used by the Soviet government as an instrument of propaganda. In 1965 in the small town of Borisoglebsk on the border between the USSR and Norway, an unusual bar was opened where Scandinavians were allowed to go without visas. 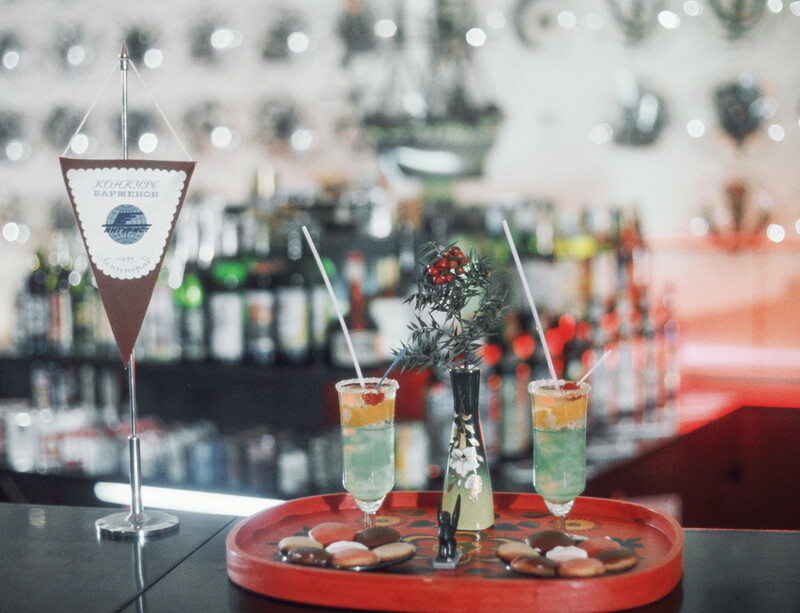 The Pravda Newspaper wrote: “Foreigners were allowed to drink as much as they liked there and pay less money than in Norwegian cafes.” The bar was used for historical exhibitions and demonstration of films about communists. It was only open for 59 days as Norway didn’t want to become embroiled in the Cold War. 10. The decision to place mini bars in hotel rooms for foreigners in Moscow and St. Petersburg was taken by the Soviet government after the Olympic Games of 1980, when the staff received a number of complaints about the quality of service. It took the USSR five years to find appropriate (small and stylish) fridges, and start the production of petite bottles with quality alcohol. In 1985, the USSR got its first mini bars. 11. Soviet people were not allowed to enter bars for foreigners, even diplomats were told not to so they wouldn’t spoil the image of the communist country by showing that they accepted the Western lifestyle. 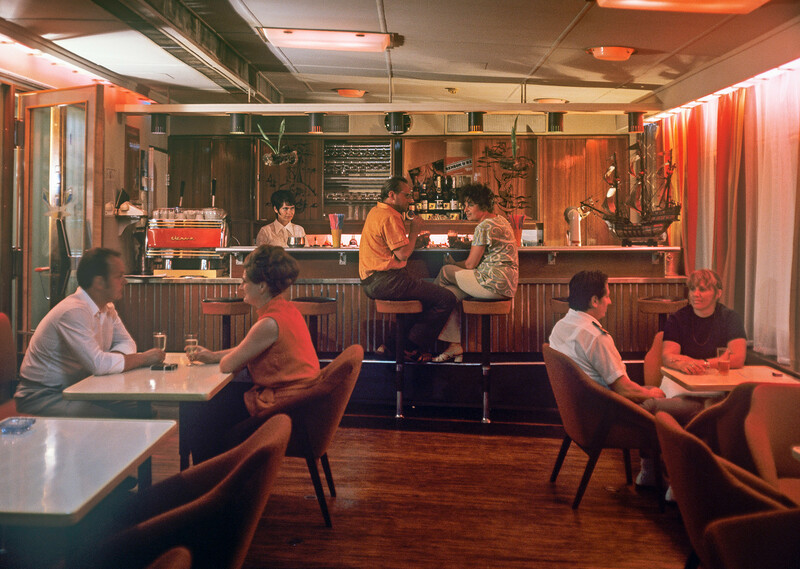 Until the 70s the Soviet citizen could drink booze in restaurants and so-called “ryumochnaya,” roughly translated as “a place to take vodka shots.” But they were different from the bars we all know. There were no seats and guests stood around high tables. They also only served sandwiches and vodka. When the first bar for ordinary people appeared it was greeted with enthusiasm. The most expensive drink there was the favorite cocktail of Ernest Hemingway - a daiquiri. It cost two rubles and one kopeck, the same price for 17 kg of carrots at the time. In the bar of the Kavkaz restaurant. 12. Vodka and birch and cranberry juice became important components of Russian cocktails during the Soviet Union. According to the St. Petersburg Association of Barmen, they were loved and appreciated by foreigners as something peculiar and exotic. 13. 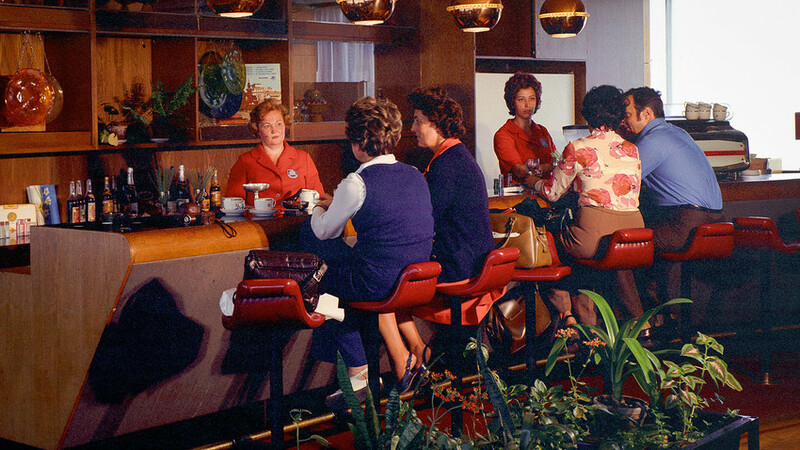 The first bars in Sheremetyevo-2 Airport opened in 1980 when the Olympic Games were held in the USSR. 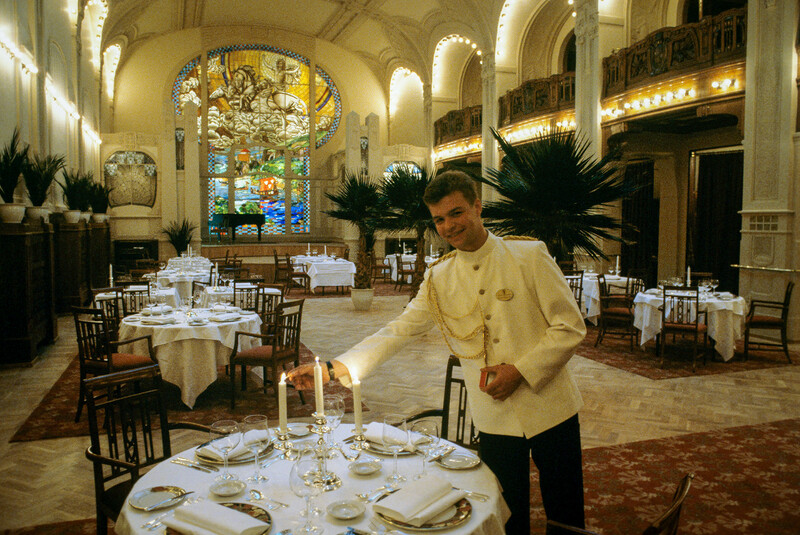 Those tasked with serving the guests had to be friendly and attentive but it was a huge challenge for the Soviet hospitality sector. A bar at Sheremetevo-2 international airport. 14. During the 70s Soviet bars for foreigners were among the first places where bank cards were accepted in the USSR. Barmen were instructed on how to process cashless payments by the officials of “Inturist” (the main organization which regulated tourism) and the External Economic Bank. 15. The Soviet Union is the home of the original theory of cocktail mixing. For each of the 55 groups of drinks, barmen created an algebraic formula, which is still good both for creating common cocktails and inventing new ones. Components are named with letters and their proportion is marked with numbers.